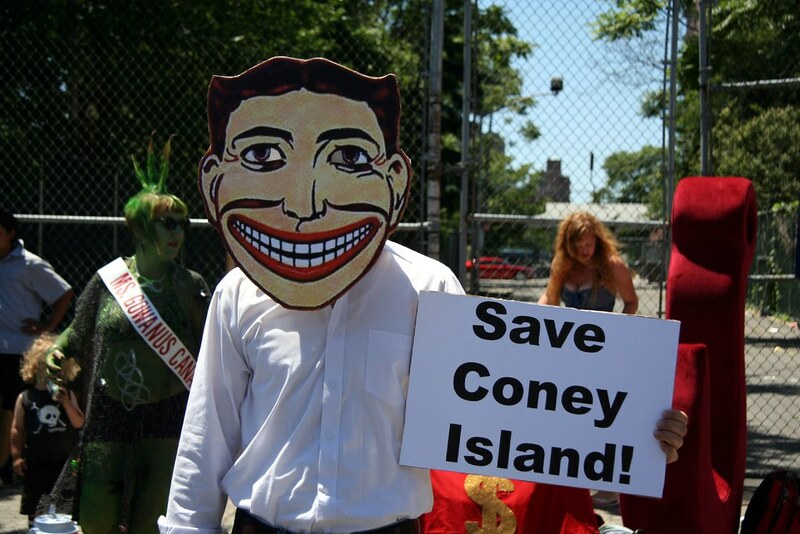 This year at the Mermaid Parade, some political commentary against the anticipated destruction I mean development of Coney Island, and a green creature from the Gowanus Canal crawled all the way down to Coney to join the party. My favorite photo from yesterday's Dyke March shows two spectacularly turned out groups - New York's own Vixxxens, in the pink sequins, and a hotter version of the Village People that I happened to run across last year as well. 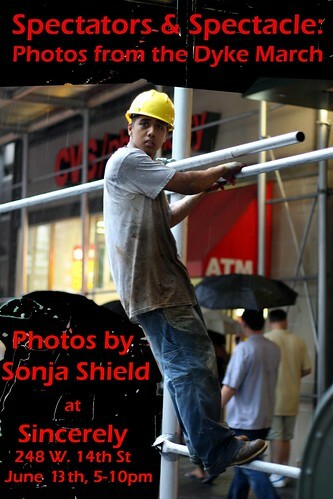 I'll be showing photos from the NYC Dyke March on Wednesday June 13th (tomorrow!) at Sincerely, an incredible new afterwork dyke party at Dirty Disco on 14th Street. The photo series is called Spectators & Spectacle: Photos from the Dyke March. At the last few dykes marches, I've turned the camera back on the spectators and taken pictures of those observing. And of course there are lots of fabulous photos of eye-candy paraders in the dyke march.